This is excellent quality 10kg Silver Refinery. We can supply you silver refinery to refine silver from 10kg up to 50kg at a time. Gold & Silver Refining Unit by Acid Process fitted with Electric Heater, Gas Reducer, Filteration along with Silver Powder washing Unit. - Refine Silver & Gold in one common unit. - Economical & Fast process with minimal losses. - Recover Silver lost in gas fumes. Recovers gold too as a by product. Clients can avail from us Silver Refining Plants with a capacity of 5 Kg- 300 Kg. These are modular units composed of different sizes tanks to meet the varied requirements of customers. We also offer silver refining. 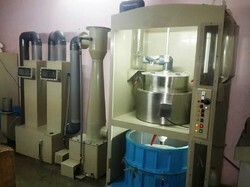 We are offering Silver Refining Machines. 1) The latest technique to refine silver scrap. 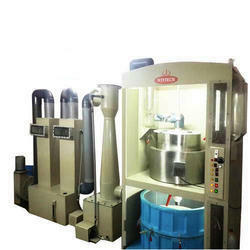 We are the leading manufacturer of gold and silver refinery up to 100kg. and its purity is 999.